Saki, the pseudonym of H.H. Munro, is an author I first discovered back in 2012, when I read a little collection of his short pieces put out by Hesperus, and also his first volume of stories under the title “Reginald”. Now Michael Walmer has put out the second Saki selection called, titled “Reginald in Russia” in one of his lovely new editions and has kindly provided a copy for review. Although Saki’s regular character Reginald is referenced in the title, it’s in fact only the first story in the collection in which he features. And there’s no shortage of the usual wit which is on show while Reginald exchanges bon mots with Princess Olga. Other stories are equally witty, covering subjects as wide-ranging as strange encounters in woods, ghost stories and a short and funny play. There are some really wonderful twists; one of my favourites being in the story “The Reticence of Lady Anne”, about a domestic dispute which has a completely unexpected ending. 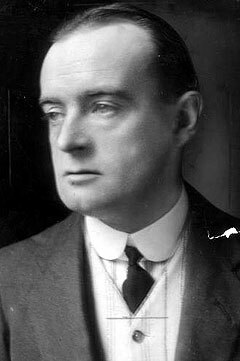 In some ways, Saki reminds me a little of Ronald Firbank (also published by Michael Walmer); the two writers share a love of funny phrases and witty exchanges, although of the two it has to be said that Saki is a lot more comprehensible – and often screamingly funny! It’s a tribute to his skill that he can take something really quite dark (Gabriel-Ernest) and turn into something entertaining but unsettling. Saki often covers unexpectedly deep subject matter but always in a witty, clever way. Alas, he died young, a victim of the horrors of the First World War which robbed the world of many talented artists. But at least we’ve been left with the laughter and levity of his works which still entertain today. 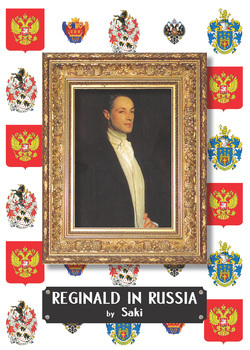 If you love Wodehouse, Wilde and wit, “Reginald in Russia” is most definitely for you! I think my love of Hesperus may have confused some of my commenters, but I should remind readers that the book has been published by Michael Walmer, who has a lovely catalogue of books – his site is most definitely worth a visit! These stories do sound delightful, and I do love Wodehouse and Wilde so I’m sure I would enjoy them too. Hesperus do put out some lovely looking books. I’m sure you’d love him Ali – very witty and very dark sometimes! The Reticence of Lady Anne is a very fine thing, is it not? What better reason not to speak! Thanks for covering this Karen. No probs – I think Lady Anne is probably my favourite story in the collection – it’s so clever!! They sound good. I just read the posterity quote in a coffee shop and laughed out loud! Except for fact people are now looking at me strangely, I like one-liners that make me laugh so this is one I will look out for!!! I finally read some Saki last year (Chronicles of Clovis) and have the rest lined up to read (thanks Project Gutenberg). They were perfect stories to read on the bus going to work. Ha! Ha! Some of the passengers are a lot weirder than me 🙂 With Saki he has some brilliant titles, e.g. The Stampeding of Lady Bastable – I love that title! Saki has been on the ‘must try’ list for years – thank you for the reminder! He’s great fun – I hope you get to read him! I’ve loved the Saki I’ve read (only the first Reginald set), but did find that a little went a long way – best to savour just a few little tales at a time prolonged the hilarity for me. Must read more! I know what you mean – they’re like rich food in that a little is enough and too many one after the other would tend to spoil the effect. Great for dipping into, though! This point about Saki in smaller amounts is a really important one, I think. This is why I’m reprinting each of his books separately, rather than in a huge clunking omnibus as he has been published recently…. A good plan – I have the omnibus but a volume like that kind of encourages you to read it all at once, and that would spoil Saki! I am horrified by how many times I say this, but Saki is yet another author on my must-read-someday list. I’ve had so many people tell me how funny and wonderful he is, I really, really MUST. Oh, you must! He’s a wonderful wit! I love Saki, and coincidentally was thinking about him this morning, so your post will send me to my huge “Collected” Saki (mine’s a Penguin). Or perhaps I was having a prophetic momenin which I knew I would read your blog and… A lovely post, and good for Hesperus for making the Reginald stories available. Saki’s wonderful to dip into – ideal for small chunks of satisfying reading! I’ve only ever read a few of his stories from themed anthologies and that was yonks ago – thanks Karen, sounds like it’s tome to get some Saki!